Self-Reg and Democracy: The Future lies in the Hands of Self-Reg Parents, Schools, and Communities. The fifth annual Self-Reg Summer Symposium from The MEHRIT Centre. 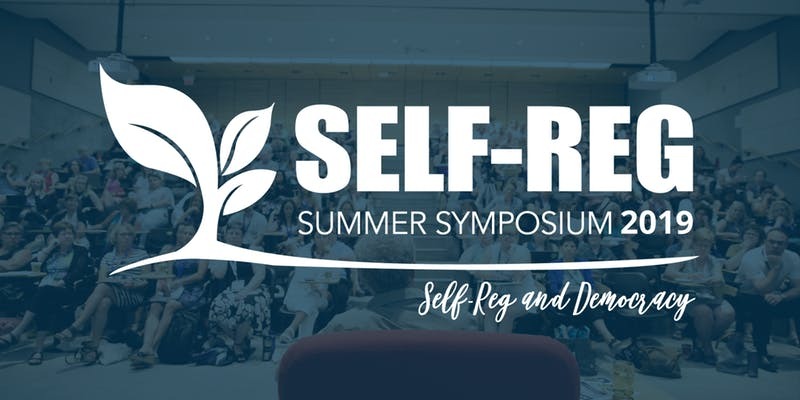 Join Dr. Stuart Shanker and the TMC crew, July 8th – 11th 2019, for our 5th annual Self-Reg Summer Symposium. Our theme this year is Self-Reg and Democracy: The Future lies in the Hands of Self-Reg Parents, Schools, and Communities. SRSS 2019 will focus on how Self-Reg can help sustain democracy and civil engagement, one community, one classroom, one family, one child at a time. How can Self-Reg help us raise today’s kids in ways that promote the prosocial behaviour and civic engagement that society needs? Post your event details on our events page. It looks like this page isn't available in French.